Realities is a beautiful floral fragrance surrounded by freshness and warmth. A delicate blend of orchids woven throughout provides balance. Elements of White Ginger and Bergamot create a feeling of contentment. Sumptuous Peonies and creamy Gardenias inspire a feeling of femininity. A comforting blend of Cashmeran, Sandalwood and Vanilla embraces sensuality. My favorite perfume! I get many compliments. This fragrance is so me ! Its first note is attention getting then instead of drilling on you till you get a migraine, it mellows and wafts softness and sensuality.. Its enrgetic yet pacfying all at once. Not an annoying smell.. But one that gets noticed..and asked about! I first bought the sweet desire by realities and then got curious about this original realities perfume so I bought it and I can say that I like both of them this one is so feminine and smells like flowery vanilla vey nice doesn't last as long as sweet desire but it is good enough I am pleased with my purchase and will make these a permanent part of my collection they (realities Perfumes) are easy on my wallet and good quality! can't beat that! Well, I sampled this today. It is pretty and a nice day time smell (sort of like when someone walks by that used nice dryer sheets or something). The bottle and color is so pretty. It just had such a mediocre quality to it. I was sorely disappointed. First time I tried it, I wasn't impressed so I sold it, thought it was inconspicuous. Jump 2 years later, I was browsing around for yet another perfume to buy as I'm yes, a fragrance fanatic!, I came across a website with reviews on perfumes.One of the reviews was on Realities NEW.All the reviews were positive so I decided to give it another go. So off to went to order it. And guess what, I can honestly say to myself that I've found my signature scent! And my, it has been a loooong search, maybe about 7 years since I started my fragrance fanaticism. Mind you, I own about 100+ perfumes! What makes Realities NEW stand out? Its not bombastic nor pretentious nor insipid.Instead, it captures the essence of femininity, soft, gentle, tender. Most of all, for its beauty, its unmatchable in value compared to any perfume. I was a little upset when i recieved it as a gift. I thought it was the one by Liz Claiborne which i cannot stand. Then felt dingy when i realized what it was...I am in HEAVEN when i wear it...it last, isn't overbearing, and i get compliments ALL THE TIME. when i smelled this on a sample strip in a magazine, it smelled so good. then i bought a little bottle of it on clearance. i dont know if it was on clearance because it was old, but it smelled funny. it smelled ok, but there is something about it that annoyed me. i cant figure out what the note was that bothered me. This is a nice fragrance once it dries down. The top note is a bit off, but after 30 minutes or so it mellows to a nice, warm pretty scent. Thanks for your feedback! I appreciate knowing that it is indeed a different scent made by a different company. And I do love it. The more I use it the more special it becomes to me. The soft pink color is so pretty, AND it's a normal bottle too! One that I can actually use and spray easily. It even sits evenly and normally in my perfume stash! I don't need to put a sticker on it indicating "This Side Up" or anything! Wow! Hurray! Based on the raves posted here I bought a bottle of Realities. I don't know if the contents are defective but it is horrible! One very small spritz on my wrist and it was overpowering, cloying, loud and cheap smelling. The first fragrance that actually migrated to my taste buds where I felt I needed to rinse my mouth.I waited over an hour for the dry-down and it did not get better. My "regulars" are Boucheron and Dior. I'll return this bottle and try another of the same and will advise. This is wonderful, I have always been a creature of habit, one cologne for 7 years. Simple but beautiful aroma, pleasant, not overbearing, beauty for the nose. As a Pastors wife, scent is important. Thanks so much for your diligence for perfection. Hi!!! just wanted to help you clarify, that this fragrance and the one by Liz Claiborne of the same name are two different fragrances and two different companies. This one we're posting for is Realities, by Realities. Realities by Liz Claiborne isn't nearly as nice, i think. There's a delicate, warm, pink girlish-woman charm to this Realities that is the perfect choice when you don't know what else to wear, or you don't want to offend anyone. But it isn't BORING! It truly evokes feelings of sensual beauty across women of all backgrounds and all stages of life. A real winner. It's a floral alright, but not cloying, not invasive-- just really, really, universally pretty. :-D Enjoy, ladies! Tried this a while ago, and didn't think too much of it. Sampled it today, and LOVED it! What a beautiful fragrance! I usually don't go for florals, but this one captured me, so I bought it! Realities has elements of other notes besides the floral ones, so I think that's what draws me in and keeps me interested. 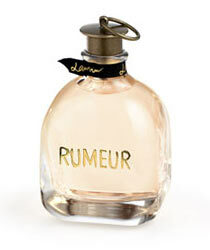 Plus, this fragrance seems to have real staying power, which is so very important to me. Pretty bottle too. P.S. Is this made by Liz? Because the packaging doesn't indicate Liz Claiborne anywhere. Also, I didn't like the "original" Realities, so if Liz changed it, then it's definitely for the better. Enjoy! I don't know if this is the replacement for the old Liz Claiborne Realities or not, but I'm not thrilled. It isn't a horrible fragrance, but to me, it smells very similar to many other fragrances on the market. Not very distinctive. I prefer the old Realities MUCH more. It is charming, light and has excellent staying power. I like wearing this to the office.You won't get any stinky looks wearing this one. Wonderful, pretty scent. It's o so feminine without being heavy or cloying. It has excellent staying power and combines flowery with powdery. This new realities perfume has become one of my favorites since I tried the sample. Very refreshing and calming. Beautiful! Just wanted to say that I've noticed your comments over the last months and I think you're wonderful!! Eloquent, interesting, original, helpful. . .thanks!!!! And please -- keep contributing; I always look for you and Lizzie for great observations and suggestions every time!!! This is a very pretty fragrance. 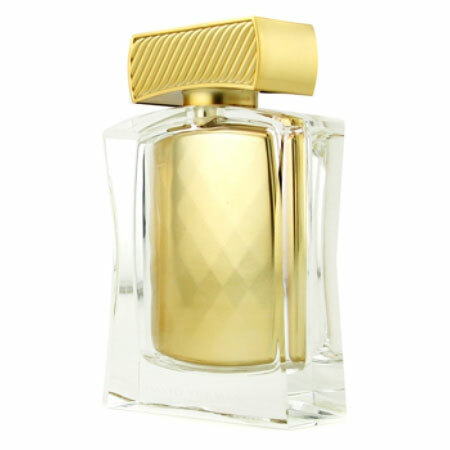 I bought a half ounce Eau de Parfum which is a great way to sample it. I really enjoy the body of the fragrance but the top notes are not for me....I find it very sweet and crisp. I prefer softer fresher scents. A couple of hours into it, though, its smells great on me. Hi ladies, I have to agree with the previous posted but add that "AT TIMES this REALLY is how a woman is 'supposed' to smell" LIKE. 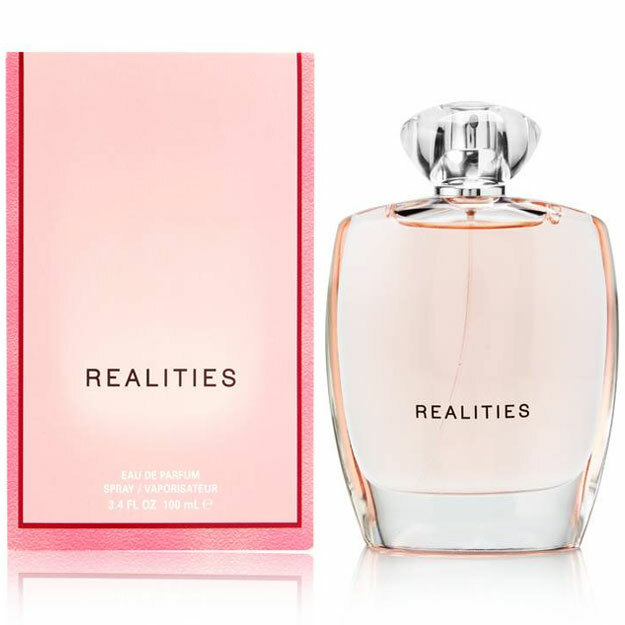 Of course who are we to say what a woman should smell like or not :) But Realities REALLY is an awesome fragrance and yet totally understated! Here is some additional information I found about it you might find helpful in choosing it as you next new one to try ;) "Realities is a beautiful floral fragrance surrounded by freshness and warmth". I just want to add here that it really is not overly flowery; there is no overkill on floral - at least not for me. "A delicate blend of orchids woven throughout provides balance. Elements of White Ginger and Bergamot create a feeling of contentment. Sumptuous Peonies and creamy Gardenias inspire a feeling of femininity. 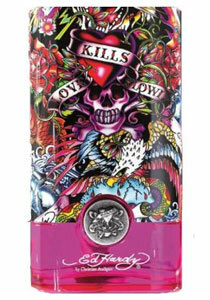 A comforting blend of Cashmeran, Sandalwood and Vanilla embraces sensuality". Oh and sensual it is!!! "The Realities fragrance evokes a sense of inner calm, balance and beauty that inspires women to celebrate the special moments in their lives". Opening Notes are said to be: Magic Lantern Orchid, Mirror Orchid, Bergamot, and White Ginger while the Heart of the fragrance is built on Persian Violet, Pink Peonies, and Gardenia the End Notes are Sandalwood, Vanilla and Musk... I really enjoy this beautiful fragrance! this is how a woman is supposed to smell.Im a man and also a fragrance fanatic.When I saw not many were representing this, I had to drop a few lines.I was at the home of some females who had like 10 bottles of perfume.I told them I wanted to smell every bottle they had.They had some nice stuff, but this is the one I like best. One of my all-time favorites! It smells wonderful! Not too strong or too soft, just right. I have received many, many compliments on this fragrance. Definitley worth a try! Realities is a subtle floral with a very soft touch of vanilla. This is the one perfume my fiance comments on when I am wearing it, saying I smell so good. You know those fragrances you just fall in love with immediately, but fall out of love with just as quickly? 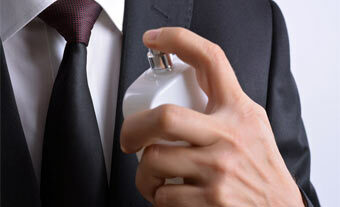 Suddenly, you've got a big bottle sitting there on your vanity and even the sight of it makes you a bit ill? Realities is the opposite. At first sniff, I didn't feel a thing: no butterflies, no instant obsession, no I-have-to-have-this-NOW sensation. And yet, I went back to the tester again and again over the next couple of weeks, and it slowly but surely won me over. Now, it's one of my favorites and I know I'll never tire of it. It's got lots of pink peony, the slightest, slightest blossom-vanilla thing, but in a non-cloying way -- it actually smells quite pink, like its color. Ageless, too: young women could wear it because it's pretty and feminine and not too "serious" but older women like me will find it's got sophistication. Do try it, and let it grow on you, too.